I don’t like oatmeal. But I like this Blueberry Baked Oatmeal. That’s kind of a big statement, coming from someone like me. 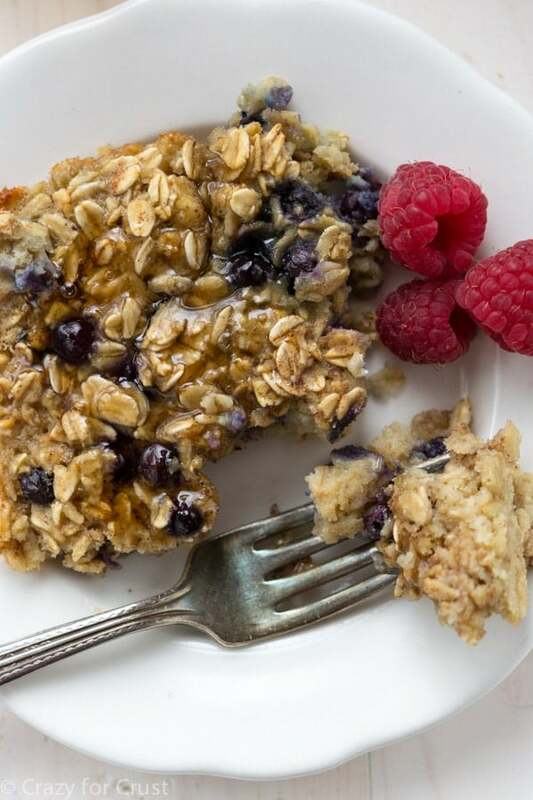 Blueberry Baked Oatmeal is an easy and hearty breakfast recipe full of blueberries and minus all the fat. 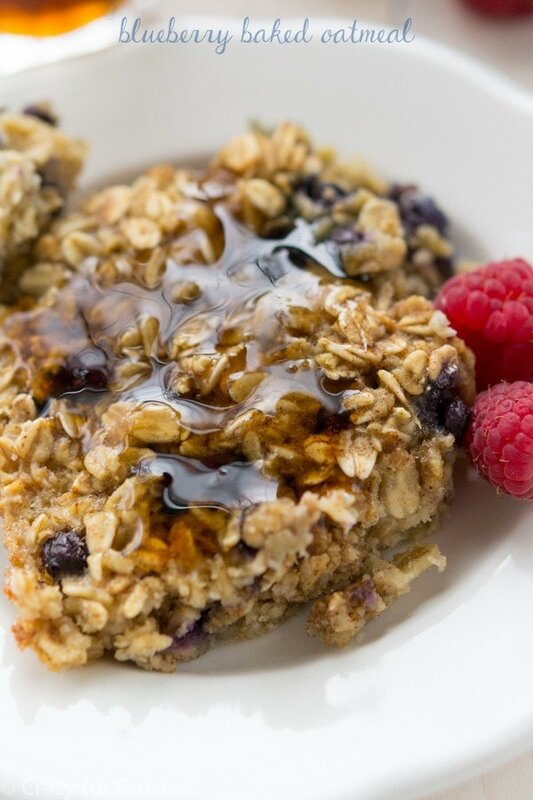 If you don’t think you like oatmeal, try this baked oatmeal recipe and you’ll change your mind! It’s like oatmeal and a soft baked granola bar all one one easy recipe. Happy New Year!! I hope you all had a safe and fun New Year’s Eve. What did you do? What did you eat? We did our normal thing: we watched the ball drop at 9pm (Pacific time) and then went to bed. Soooo, now that it’s January are you taking off the feed bag? Putting away the yoga pants for all day and putting on…yoga pants for exercise? Me too. But you know what you need, no matter what? Breakfast. How about some baked oatmeal for breakfast? With blueberries? Yes? I’m not an oatmeal lover. In fact, I’m not much of a breakfast lover. 99% of the time I’m not hungry in the morning or I’m too rushed to eat. But I have to put something in my stomach before I work out or I get dizzy and nauseous. Usually I drink a smoothie. But sometimes? I don’t feel like a smoothie. I want to chew. It’s those days I wished I liked oatmeal. But now? Now I’ve found an oatmeal I actually want to eat: baked oatmeal. The problem I have with regular cooked oatmeal is the texture. Y’all know I have lots of texture issues and hot gloppy cereal is one of them. But this baked oatmeal is more like a soft granola bar. I like granola bars. Therefore, I like baked oatmeal. This is definitely more indulgent than a smoothie…but it tastes better and is more satisfying too. And it’s not as bad as eating a plate of pancakes, waffles, or even traditional baked oatmeal. I’ve changed up the regular butter and sugar-ladden baked version for something a little lighter. This recipe has no butter or oil. Instead, I used unsweetened applesauce. Unsweetened applesauce is my healthier baking secret weapon. I’ve been adding it to everything lately (recipes coming soon). And even though there is sugar in this recipe, I used less of it because the applesauce is sweet, even though it’s unsweetened. Instead of regular milk, I used unsweetened vanilla almond milk in this recipe. I’ve been using almond milk for years now and I prefer it to milk. But if you like milk, use nonfat. I haven’t tried this with soy or coconut milk, but I’m fairly sure it’ll work just fine. I’m not much of a fruit-in-food person, but I blueberries were the perfect touch in this oatmeal. I buy mini frozen blueberries (often labeled “wild”, I get mine at Trader Joe’s) but you can use regular size frozen or fresh. This oatmeal is good plain, but it’s even better with syrup. The syrup is optional if you’re really counting calories, but if you like syrup, go for it. You don’t have to use maple syrup; we use reduced calorie syrup most often in my house. If you’re feeling like being indulgent…pour it on. Alternately, you can serve it with fresh fruit or a dose of vanilla yogurt on top. Enjoy this oatmeal for breakfast or enjoy it like I do – after my workout. I always want something after I exercise and I don’t want an apple. I want something hearty I can chew, and this fits the bill. The other thing I love about this baked oatmeal is that you can portion and freeze it. Then, like me, on those days I want more than a smoothie but I don’t have any time, I just reheat. It takes less time than my blender, and I can actually chew something. Plus…it’s pretty. So not only is this good for a hearty and healthier breakfast, but it’s a great brunch or potluck dish too. It’s a double duty dish. I think I need to make it my resolution to make more of those. 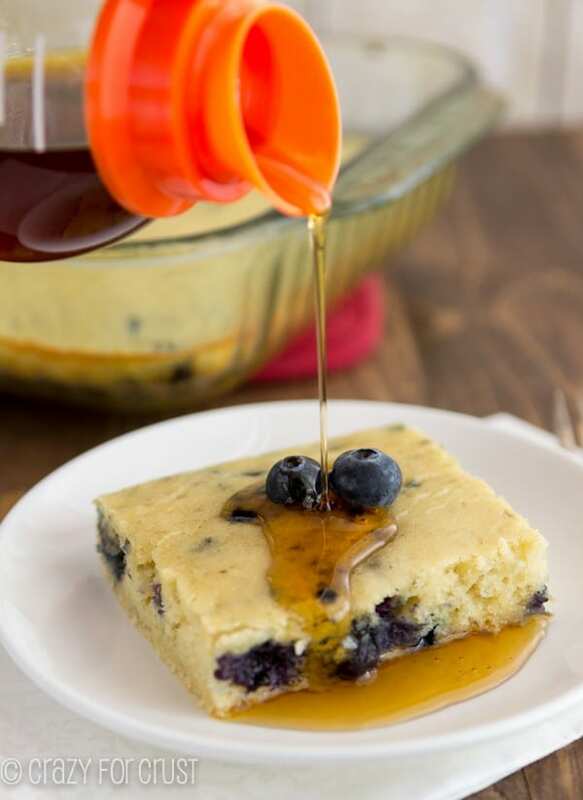 Blueberry Baked Oatmeal is an easy and hearty breakfast recipe full of blueberries and minus all the fat. 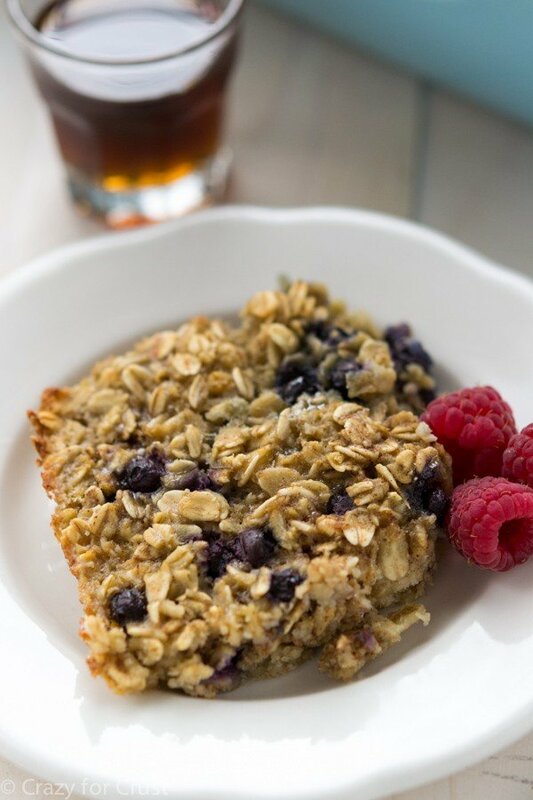 If you don't think you like oatmeal, try this baked oatmeal recipe and you'll change your mind! It's like oatmeal and a soft baked granola bar all one one easy recipe. Preheat oven to 350°F. Spray an 11x7 or a 9x13 pan with nonstick cooking spray. Whisk eggs, applesauce, brown sugar, and vanilla until smooth. Stir in cinnamon, salt, and baking powder. Stir in oats and milk. Gently fold in blueberries. Spread in prepared pan. Bake for 28-34 minutes until oatmeal is browned and not jiggly in the center. Cool slightly before serving. Serve with syrup and/or fruit or vanilla yogurt. Store in refrigerator up to 2 days. 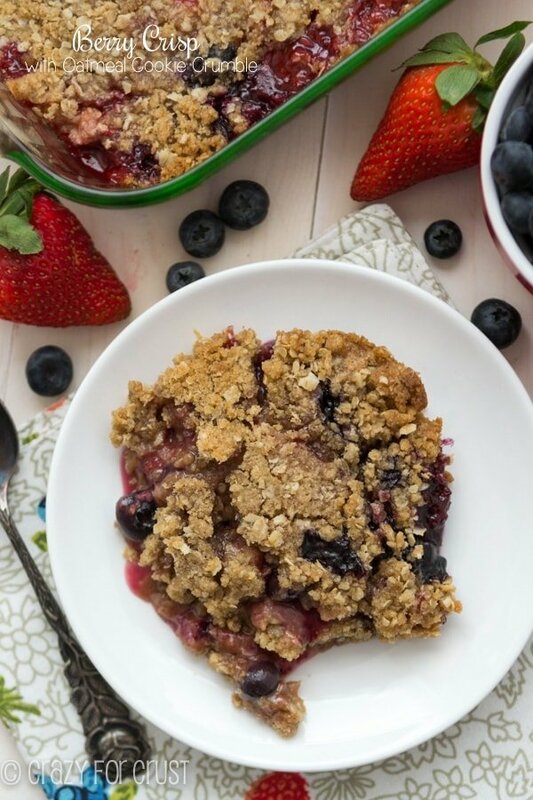 You can also portion and freeze for quick morning breakfasts! How would this turn out without the eggs? Any replacement suggestions? I made this tonight. Was very disappointed. The oatmeal was still raw. It was very chewy. I think that maybe letting it set for a while before baking it would solve this problem. I make a breakfast oatmeal dish using oatmeal and fat free Greek yogurt mixing them together and letting them set in refrigerator overnight. It is not chewy or mushy. This looks delicious! I was wondering if you think adding ground flaxseed to this recipe would be ok. I’ve been trying to incorporate flaxseed more into my meals and think this would be a great, healthy addition! Any recommendations for how much flaxseed to add before needing to change other ingredients? Thanks! I love this recipe. I let it cool and cut it into squares, wrap them up and put them in the freezer. I pop them in the microwave for a quick breakfast or snack. Very yummy and versatile. Thanks for sharing. I eat oatmeal almost every morning, it’s my go to breakfast, I was looking for something Oatmeal based but with a bit of wow, to bring for a potluck breakfast. I made this and it was a big hit, everyone wanted the recipe. Thank you! 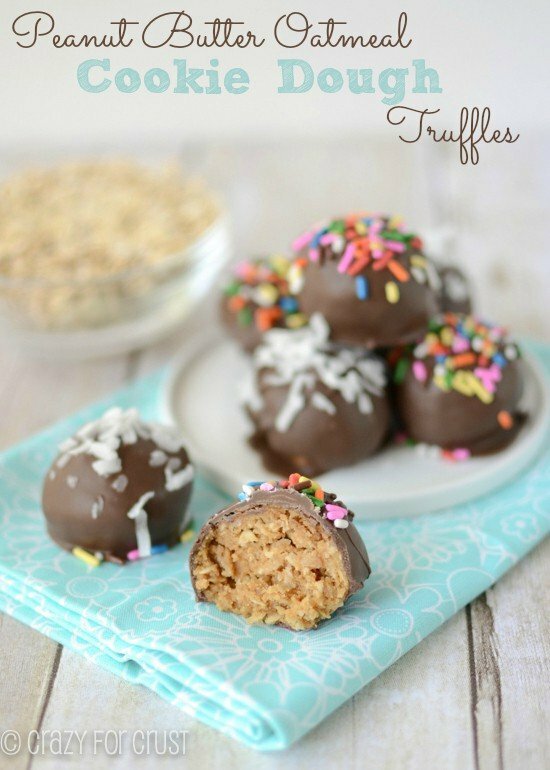 Could you make these in a muffin tin? This looks so good! I love oatmeal as long as it has yummy ingredients mixed in. Do you think it will turn out well if the ripe bananas are used instead of brown sugar? I followed the recipe exactly. I used fresh blueberries and almond milk. 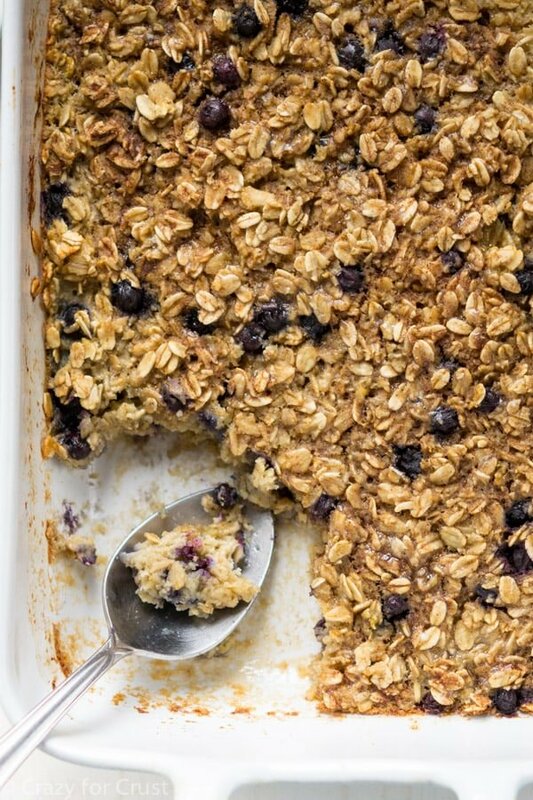 I’ve made a lot of baked oatmeal to make mornings easier, and this recipe got a thumbs up. If using frozen blueberries, do you thaw them first? If so, do you drain them after they have thawed? Anxious to try this recipe! Can I substitute maple syrup for the brown sugar?